Brand New Year, and the month of January flew by with a blink of an eye. I have a new set-up I am experimenting with for my photography so hopefully you all like it. My hubby took a saw and shortened his work desk, and then coincidentally, it just fit into a nook in my condo, so we went to Ikea bought some legs and attached it to the extra piece and built ourselves a new side table. I now use it for my laptop and purely for my blogging. 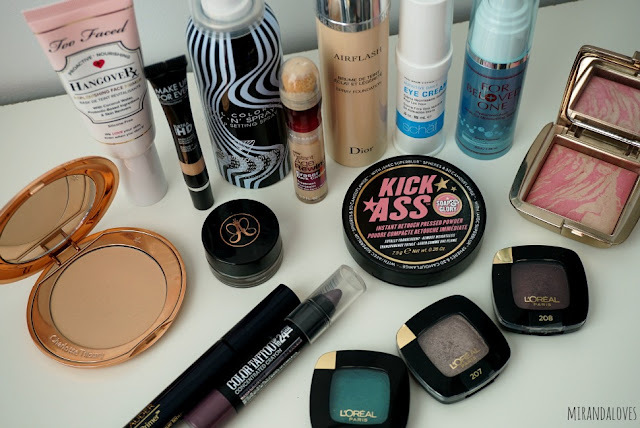 My vanity is still what I use to store all of my makeup, and where I sit to play with it and of course, apply it on most mornings (that's unchanged). 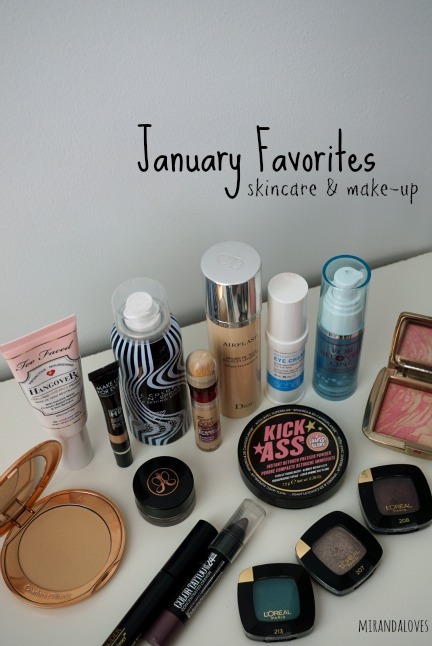 Anyways - onto my list of make-up and skincare favorites for the month of January. There are some repeats (yes, because that just proves how much I love it) and there are also some new items that I was just recently introduced to in the last month or two or even as short as just a week or so ago?? 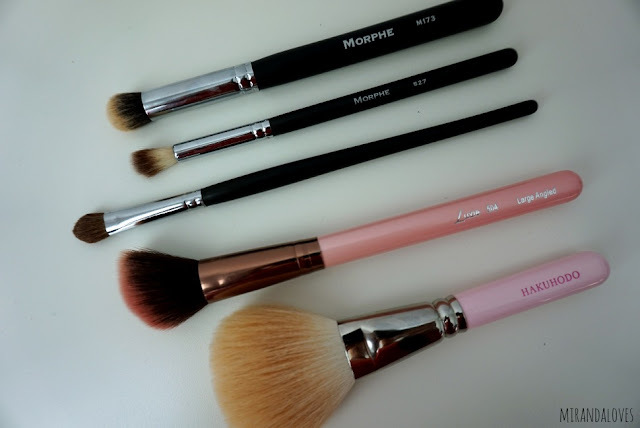 I decided to actually do something different and include some of my go-to favorite make-up brushes this month! 4. Luxie Brush - Large Angled Brush - great for blush. It picks up the right amount and adds a sheer wash, doesn't over-do it and will not give you clown face. 5. Hakuhodo - I wish I had a name for this brush, it was part of a limited edition set I got in Tokyo many years ago, its a fluffy powder brush (there are similar ones from Hakuhodo right now). I use this to apply powder foundation and setting powder. It's so soft it feels weightless.